We know that our Builder Marketer clients use our platform to consolidate purchases of branded marketing supplies to save time, because they must attend to a long list of digital marketing tasks that are necessary to launching their Communities. This is the second in our blog series about how to use digital marketing tactics to fill your new home community events with lots of prospects. In our first blog post on this topic, we covered the important asset and content building involved in getting ready for your new home marketing event. Spencer Powell, with the Builder Funnel, outlined a simple step by step process that provides a virtual map of the tactical work that needs to get done in order to have a successful Community Marketing event that brings in enough of the right prospects. We're going to jump right in here and move to the Phase Two Execution. This assumes you've created content and built your assets for your Event. Here's the second part of our interview with Spencer. Marketing Blueprints: So much to do, so little time. Planning really helps. Now that you've set up your schedule and all your assets are in place, how do you get people to your event? Spencer Powell, Builder Funnel: Now that you've developed your assets and content, you'll see why it pays to get all that lined up early. At this point, about 3 weeks out, it's all about inviting your list, amplifying to the surrounding community via Social Media and consistent reminders to get them there. 1. 3 emails to leads in your system database for that specific community to invite them to your Event. Link to the landing page and RSVP form you have developed (see our first post for this if you haven't read it yet). Promote the event on Facebook once a week, 3 weeks out, twice a week 2 weeks out and several times per week in the week leading up to the event. You can follow the same guidelines for Instagram. I would sprinkle in 4-5 tweets per week on Titter starting 3 weeks out. You can be a bit more liberal with Twitter since it's a constant stream and you'll be mixing in other posts as well. 4. Run Social Advertising - One of the best proven methods for boosting a post for brand awareness is called the Mari Method, names after Mari Smith. Essentially, you leave the post "as is" first. The best posts to boost are the ones that are already organically performing well. Post that are outperforming others do even better when a little budget is added under them. So, let your post sit for a day and if it's doing well, add $15-$50 to that post to really pour the gasoline on! Marketing Blueprints: This sounds so organized! What a relief for Builder Marketers who are pulled in every direction with tons of competing priorities. In the interest of keeping it real, what would you say are the top three challenges Builder Marketers face in organizing for their events? Timing - Ideally it's 4-6 weeks out but a lot of Builder Marketers don't get the information they need to plan ahead with that cushion of time. Assets can be a challenge to secure for some Marketers because they are held by outsourced providers or corporate graphics departments who are over-burdened with requests. Weather - Out of your control and influences attendance up and down. Marketing Blueprints: Often people perceive that landing pages are time-consuming or expensive. How would you engage a Web or IT contact to get your landing page done? "Hi there! I'm working to get more people into an event in a month, and I need your help building an RSVP page. It can be really simple. I've attached the image I'd like to use on the page, and I've included the content below. Please use a 2 column, skinny right format. Use the left side for the content and the right side for the RSVP form. Please request First Name, Last Name and Email on the form, and require all the fields. The follow up email should come from me, and I've also included those details below. Please have any form notifications directed to my email @ ________________." We're excited about this awesome bonus content, too. We asked Spencer to develop a simple checklist that we could share in a PDF document so that our readers can save it to a desktop as a resource, deploy new team members to get ready for events or use it as a map for an upcoming event. Click the button below to get your copy. Thanks for stopping by. Head over to our Facebook page and let us know if you have any other tips you'd add to this checklist! 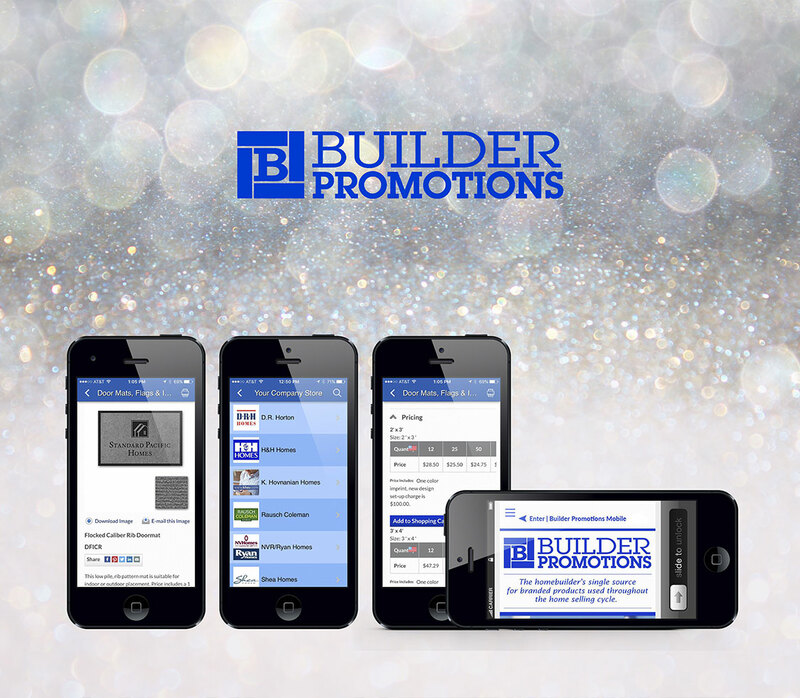 Marketing Blueprints is sponsored by Builder Promotions. Builder Promotions is the leading builder-centric e-Commerce and creative services platform helping new home builders centralize purchases of branded marketing supplies used to support the entire new home buyer journey. BP Custom Shopper(tm), a Builder Promotions signature service, brings creative sourcing support to Division Marketers nationwide. When our clients host an event at their new home community, we create a memorable branded gift that deepens a prospect's connection to the brand, after the event has passed. So that's one task our busy Division Marketer clients can check off their long list of Event "to dos". But we know that's not even a fraction of the work to be done to launch an event. We know that the important work of making any event a success is drawing a crowd! Our readers will be excited to learn that in this blog post, we're interviewing Builder Funnel marketing expert Spencer Powell, about building traffic for your events. Marketing Blueprints: Can you tell us how you approach the planning and execution for new home community events? Spencer Powell, Builder Funnel: We help our new home builder clients approach this in two phases. The first phase is building out your digital assets. The second phase is implementing your outreach campaign leading up to the event. Marketing Blueprints: Can you start by giving us your check list for building assets? Spencer Powell, Builder Funnel: Yes, it's a simple list. Ideally the process begins 4-6 weeks out before an event is actually going to take place. The timing plays an important role in growing your RSVP list. If you are tight on time, feel free to download the checklist and read it when it's most convenient for you. Make a Schedule so that tasks on this checklist are placed within the time frame leading up to your event. Even if you have less time than is ideal, a schedule helps you keep track of anyone on your team who is helping you get this done. Access or request existing community content you will need to share in emails, on your landing page and in social posts. Having this ready will keep you on schedule. Prepare your email content for the invite to your Database and calendar reminders to everyone who sends an RSVP. Develop an Event landing Page. This is where people will RSVP on your website. The landing page should include information about the event, enticing community imagery and all the event details communicated with a sense of excitement. Create a “Thank You Page” that is automated from the Landing page to express your appreciation for the RSVP. Tell people how excited you are that they are attending. This is where you share exciting information about the Community you are promoting. It’s a perfect place to deliver “bonus content” like floor plans, a video tour, and your community brochure to everyone who RSVP’s. Ultimately the thank you page shows your appreciation and reinforces the prospects attraction to the community. 6. Write an automated follow up email for people who close out before they get the thank you message. It should be a duplicate of the Thank you page. 7. Leverage the Division Website using a Call to Action Graphic that links to the Event Landing page. Prepare your Social Posts with links back to the landing page to create excitement leading up to your Event. Use event announcement, video tours of your community and home lifestyle imagery content to entice prospective home buyers. In our second post we'll discuss the execution of the Event campaign. Here's a sneak peek. Marketing Blueprints: So much to do, so little time. Planning really helps. Now that you’ve set up your schedule and you've built all your digital assets, how do you get people to your Event? Spencer Powell, Builder Funnel: Now that you’ve developed your assets and content, you’ll see why it pays to get all that lined up early. At this point, about 3 weeks out, it’s all about inviting your list, amplifying to the surrounding community via Social Media and consistent reminders to get them there. If you can't wait for our second post, feel free to download the checklist and save it as a resource to plan your upcoming events. Thanks for sharing your turnkey checklist with us Spencer! We look forward to sharing Event Marketing Phase Two in our next post. To our readers and clients -- we hope this content adds value to your Community Marketing and makes your work just a little bit easier, too. Social Media Metrics You'll Want to Consider. There are many reasons to be obsessed with Social Media Marketing. For me it all comes down to one word, "Sharing". Social Media provides consumers with a way to quickly share virtually anything, including favorite new home brands. The key for Builder Marketers is delivering "shareable content". The digital house hunt demands that photos, video tours and listings are abundant and well organized for new home shoppers. Builders have invested significantly in digital content for their websites and most of it can be leveraged across Social Media. 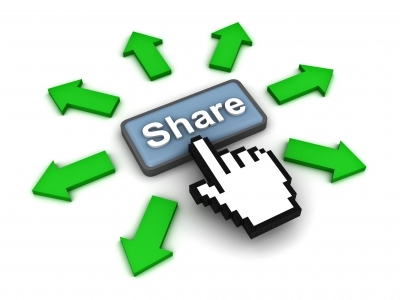 Where and how you share matters. Larry Kim, with Wordstream just published an informative article about Social Media Metrics which included an eye-opening infographic by Red Website Design. 81% Millennials check Twitter at least once a day. And, tweets with images receive 18% more clicks than tweets without images. If you have product designed for the Millennial buyer segments, a Twitter story may be the ticket to reaching this growth demographic. Tweets get to the point and allow someone to see a visual quickly. They are efficient for busy Millennial professionals. 93% of Pinterest users use the platform to plan or make a purchase. Is Pinterest the virtual design studio of the future? I love how TRI Pointe Homes, combines boards of their insightful home designs with an abundance of lifestyle content to nourish hungry Pinterest shoppers. They understand that Pinterest visitors are seeking more than just the home. They are seeking a lifestyle. Trendmaker Homes has designed specific boards to let shoppers view room choices, kitchen designs and exterior options. Features that are often considered upgrades by Builders come standard in their homes and their boards support that messaging. Almost 80% of Social Media time happens on mobile. If your metrics demonstrate that consumers are finding you through Social channels, you want to be thinking about a Mobile App. Mobile apps are no longer time and cost intensive. We have talked in this blog about designing a mobile community concierge to create a more stylish and "current" welcome experience for Sales Center guests. Our article addresses what makes a mobile app successful (hint: single function and simplicity). 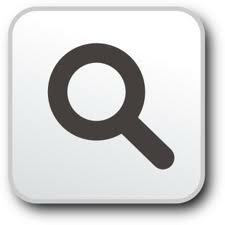 We are tweeting, pinning, posting, writing and helping clients shop through our own Mobile App. Here's where you can find and follow us if you like. We hope you'll return to check out our blog, Marketing Blueprints to see what resources we're sharing to support Builder Marketers. Thanks for stopping by. Happy New Year to all! Marketing Blueprints is sponsored by Builder Promotions, Inc. an e-commerce platform and group buying solution which centralizes branded marketing supplies used throughout the new home selling cycle. The platform is supported by humans whose mission it is to gift you back with time you save by centralizing your purchases. Who are the Influencers in a New Home Sale? Who wouldn't want to share this beautiful photo? That's probably what Lennar Homes thought when they posted this lifestyle image for one of their new home communities in Texas. For a lot of us, it's not about the house. It's about what we see through our windows and the spaces outside where we explore with a small child on a Saturday morning or get out for a run after work. These kinds of images cut through the burden of home buying details and give buyers a sense of how it would feel to live in that home. If you are an Influencer, you want to share this image with people you know. You can't help yourself! It's a gorgeous piece of shareable content. Builders want to be thinking about how to get relevant content to their Influencer audience. I received this infographic about Influence Marketing today. It got me thinking about who the Influencers are for a new home sale. Here are three influencer categories from my perspective. What do you think? Realtors - They can influence their clients to consider the benefits of a new home while they are also looking at resale homes. We recently wrote a post about what Realtors want from Builders. Connectors/Brand Advocates - Connectors are people who love to share content with their networks. They are easy to find if you can send a short NPS survey. You can use a question like, "How likely would you be to refer people in your network to our new home communities?" Nothing better than a one question survey - fast, easy and takes no time away from your customers. When you have this data, take the responders with the highest score and do a quick search to see who is most active digitally. Even if it's a handful, you have the seeds of an Influence Marketing effort. Sales team members may intuitively know who some of these Connectors are, and they may be ready to broadcast for you. All you have to do is ask and share content. The Social Media Examiner has written a good article with 9 reasons you want to engage with these Influencers. Lifestyle Bloggers - If you can connect with a Blogger in your markets, you have a way to leverage your content across a much larger group of home buying consumers. GroupHigh helps companies build profitable relationships with Bloggers. They offer a good database of Blog titles, subject matter, audience demographic, audience reach and tools to easily cultivate relationships on behalf of your builder brand. 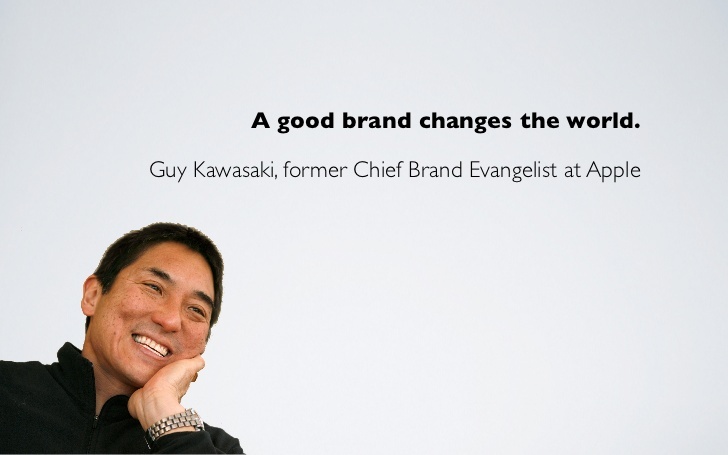 I love this quote because it reminds us to aspire to give our brands greater meaning. And I think it also makes it easier to connect with Influencers. Builder brands are thoughtfully designing living environments that inspire a sense of community, provide an environment for families to connect and offer spaces for renewal and creativity. Influencers will tell people about the important work you are doing, if you can find and engage them! Have you identified your influencers? Do you have a Social Influencer Campaign in place? We'd love to hear from you, and we are actively seeking guest bloggers on this topic. Please connect with us if you are a Home Builder Marketer and would like to cultivate this conversation further through a guest blog post or series. Thanks for stopping by and engaging with us. 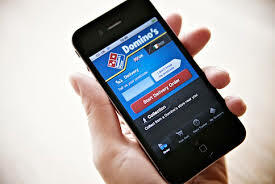 When did Dominos become a technology company and what does it have to do with marketing a new home? Companies that sell tangible goods are starting to stake their claim as Digital enterprises. Should Builders follow this trend? Who knows, but it's worth thinking about, considering the tectonic shift to digital house hunting by today's home buying consumers. Several months ago, I read an article about Dominos Pizza transforming itself into a technology company that sells Pizza. It makes perfect sense because fast food restaurants deliver convenience and value. Consumers are used to procuring their pizza anywhere at any time of the day or night. It used to be we'd just pick up a phone and order a pizza from virtually anywhere. Mobile technology makes it possible to do the same with any mobile device, which means customers are ordering pizza from a smartwatch, a smartphone, a tablet and in the not-to-distant-future from a Smart TV. So Dominos has figured out they are actually in the technology business because they need to design the best user experience possible on these mobile devices. This week I saw a GE ad on TV. GE referred to itself in this ad as "The Digital Company that is also an Industrial Company". This is a strong statement from a corporate manufacturing giant. They have always been in the business of helping enterprises perform better to improve life for their end users. With data science and analytics, they have digitized that value proposition. So if GE is staking its claim as a digital business, why not Home Builders? Home builders are in the business of helping people design their best life at home. Buyers dream, design and imagine their new home life in front of a screen for much of their journey to purchase a new home. This means that Builders have to invest in a digital experience that fuels the aspirations of their home buying prospects. As I was writing this post last week, Builderonline.com published an article entitled "Technology as the Builder's most effective power tool". And the article ends with this question: "Ask yourself which kind of company you are – a builder, like many others, or a technology company with specific expertise in building homes?" It's no secret that buyers are using digital tools to find their way through the new home search and almost all other aspects of buying a home. 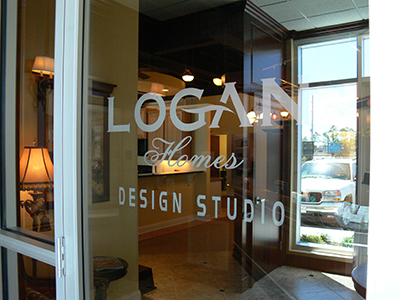 A visit to a sales model has always been an opportunity to let consumers experience beautiful designs in person. It's arguably the most important conversion after a digital search. But now, it's also a critical touchpoint for connecting consumers to digital assets when they are at home househunting from the comfort of their sofa, again. How does a builder stay connected after a sales model visit? One innovative Developer just launched the first personalized sales model brochure with RFID tagging. They've used technology to help consumers visit models and then personalized model brochures created with RFID tracking technology. If you've ever been followed around an open house by an enthusiastic realtor, you will appreciate that this makes it possible to give consumers more of a self-serve shopping experience, with sales people to consult as needed/wanted. As a consumer, I love this idea. If I were managing a sales team in this space, I'd take a page out of David Weekley Homes marketing playbook and call them Advisors. I recently signed up for their newsletter to learn more about their brand strategy and market positioning. I received several responses from David Weekley Homes Internet Advisors who thought I might be looking for a new home. They each greeted me warmly and asked me thoughtful questions about my interest. They offered to provide answers and guidance in my search. The whole interaction felt more like concierge service and less like a sales person trying to get me to buy. I'm not in the market for a new home, but they would have easily engaged me if I were. All of this happened through a brief email exchange. If being digitally-focused makes for a better customer experience, is it worth positioning yourself as a technology company? Does an enterprise act differently if it identifies as a technology or digital company? Time will tell, and I'm sure more than a few builders will have taken the road less traveled and become "the technology company with expertise in selling homes". Marketing Blueprints is sponsored by Builder Promotions an e-commerce company that delivers convenience, control and peace of mind. Our builder-specific branded products are used by marketers throughout the home selling cycle. I recently did some marketing consulting for a start-up firm who had purchased Salesforce.com. I loved having one central tool for capturing prospect brand touches and engagement, but I was stunned at the cost per subscriber, and unhappy with the price to "customize" for our business. That set me on a search for a CRM partner that would be nimble and easy on the budget. CRM is a business "must-have" when you are managing lots of prospects, and there are many options out there. When, I heard Lars Helgeson, CEO of GreenRope, speak at a Digital Marketers conference, I knew I had found the CRM expertise I'd been seeking. I asked to interview him for Marketing Blueprints because our clients are managing a large segment of the nation's home buying prospects. Great CRM is paramount to the new home sales process. Leslie: CRM “Customer Relationship Management” has different operational meaning to different people. How do you define it? Lars: Salesforce dominates the CRM conversation, and that creates perceived barriers for mid-market and smaller companies who benefit from the efficiencies and expanded marketing capability of an effective CRM tool. Some people think CRM is the same as their contact database. Others think it’s synonymous with their email program. Within the framework of the Homebuilder industry, CRM is an eco-system that works to generate new homeowners. Leslie: What specific features should a CRM tool encompass? Leslie: 70% of leads generated by marketing efforts are not ready to make a purchase, and that makes a compelling case for the importance of Customer Relationship Management in any industry. Builder Promotions’ clients know that they have to educate and engage prospects to move them closer to purchasing a new home. Why do people stall their decisions to adopt a holistic CRM tool? Lars: Our customers have told us that it feels like a big change, and that equates to time, which is scarce for Marketers everywhere. People don’t realize that it’s relatively simple to get started. Most marketers have a list of contacts or leads. A smart CRM partner will get that data input for you during the onboarding process. You can start using the CRM eco-system immediately to segment and target your list. That drives conversion because you are relating to prospects more specifically and demonstrating that you understand what they desire from their new home community. Leslie: GreenRope has built-in predictive analytics. It's an exciting area of CRM that has immediate application to the homebuilder sales cycle. Can you tell us about how that works? Lars: Let's talk briefly about Analytics and its value to Marketers. Analytics is defined as the discovery and communication of meaningful patterns in data. You look at any website analytics, and you can see how many people visited your website, who is referring to you and how people are searching. Ideally, analytics delivers actionable insights in service of your business goals. That's what Google and other analytics services offer. With the right CRM tool, you should get proprietary tracking that looks for specific contacts in your CRM to see how they are engaging with you. Analytics offerings like Google and others cannot do this because they don't track individuals. Only a good CRM can do this for you. Now, the next step is to understand Predictive Analytics. Your CRM will capture data about your prospects and every engagement they've had with your brand. Predictive analytics looks at this historical data (tracking of homebuyers throughout the sales cycle) and builds a model around what causes conversions, or actions that lead to the purchase of a new home. We've made it simple to correlate conversions during the sales cycle, to home purchase behavior. Once you apply that model to people who have not yet purchased a home, you know exactly where to spend your Marketing and Sales energy. It's empowering for Sales and incredibly cost effective for Marketing. Leslie: Can you share some of the benefits of a good CRM system? Lars: I always use GreenRope as an example. We are a company of 20 people supporting 1700 clients in 20 countries because of automation and the portability of information. CRM gives people a user-friendly way to view prospect demographics and behavior. The CRM eco-system tracks anonymous data until a prospect self-identifies through a conversion (registering, filling out a survey, taking a tour, etc.). When prospects do self-identify, the CRM tool back-fills all the data and Sales gets a map of the buyer’s journey. It’s very simple and powerful. A sales person cannot find all the new homebuyers in a market. You need inbound marketing to fill the sales funnel and educate prospects.After a year on average, GreenRope’s clients are up 75% in revenues. A good CRM tool makes it simple to centralize, organize and relate to your prospects. It then enables you to take historical information and apply it to future prospects in with predictive analytics. The outcome should be more home sales, and referrals from long-term happy customers. Thanks, Lars! If you want to learn more, feel free to connect with the GreenRope team at GreenRope.com. We know that builders are investing in quality content that invites prospects to tour their beautifully designed homes. The right CRM tool won't break the bank, and it will expand your capacity to produce sales-ready prospects. Thanks for listening in. How are you supporting your prospects' home buying journey? Do you have a favorite CRM tool? We'd love to hear from you! Marketing Blueprints is sponsored by Builder Promotions, a centralized procurement solution that delivers brand consistency throughout the new home sales cycle. We've written a few blog posts about our expansion into Mobile Engagement through the launch of BP Digital. We thought it would be a good time to introduce our software partner, Kevin Vaughn CEO of iGlobal Apps. 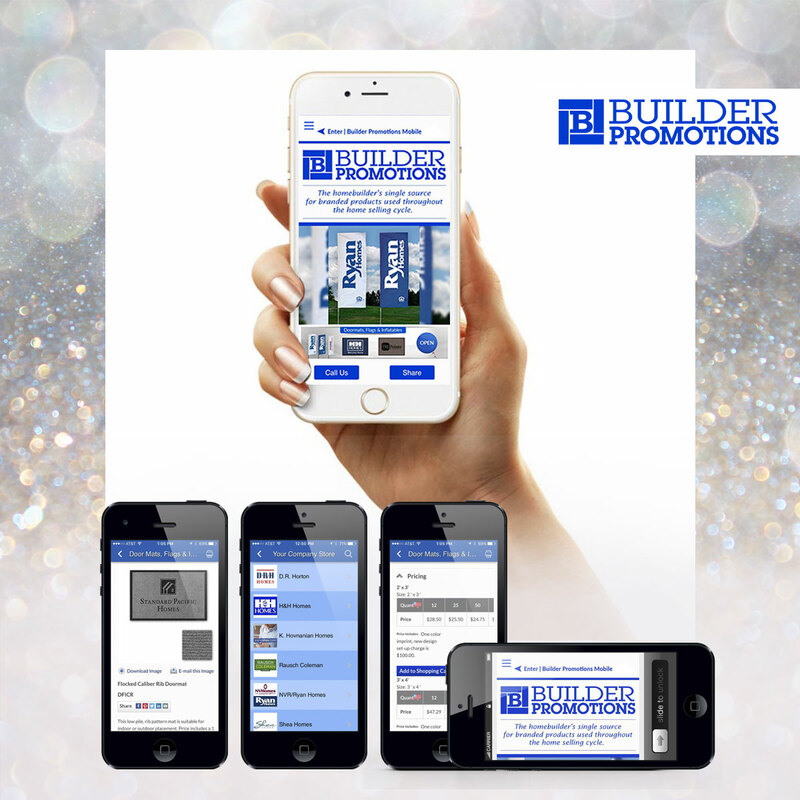 Together, Builder Promotions and iGlobal Apps are on a mission to bring simple, user-friendly and cost-effective Mobile Solutions to Builders nationwide. Professional Builder magazine just published an article about how home buyers are using digital tools in the process of purchasing a new home. The digitization of home selling continues to gain momentum, and mobile engagement is going to be a must-have sales tool. Here's what Kevin had to say about this when we caught up with him last week. Marketing Blueprints: Kevin, can you talk about why you are so passionate about partnering with us to empower Homebuilders with Mobile marketing tools? In January of 2014, mobile Internet usage surpassed that of the PC for the first time in history. 21% of Millennials have ditched the computer and devoted themselves to their smartphones for online access. That number will grow. Mobile Apps account for 89% of time spent on mobile media while only 11% is through the mobile web. Marketing Blueprints: We are bridging the gap between digital and in-person house shopping. This is a Mobile App that enables Builders to expand their sales channel. Why did you want to design for this vertical with us? Kevin: When people think of Real Estate Apps they think of the Apps like Zillow, Trulia, and Redfin, which have made looking for a home convenient and even fun. What interested me in BP Digital's vision, is the opportunity to help solve the problem of converting Digital Shoppers into Sales Center Visits. It's a universal challenge. How do we convert browsers into buyers? I appreciate that it's an especially critical conversion in the digitally-based home selling process. The right App design can significantly increase the numbers of prospects who decide to visit a Sales Center. Then it's a no-brainer that after a visit, the App becomes another tool for sales, internet advisors and online marketing teams to engage with qualified prospects. In addition to a strong network of nationwide builders, BP Digital brings experience with consumer incentives, so we can drive downloads and get more Apps into the hands of home buying prospects in each market. Getting people to download an App, is still a number one challenge for anyone publishing their App, but it shouldn't get in the way of launching your own! Marketing Blueprints: Lots of people are marketing App Development services. 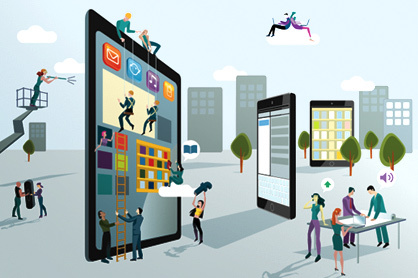 What should Builders be thinking about when they partner with a Mobile Solutions provider? Kevin: Make sure your development company has experience working with the platform that you choose for your application. If you want an iPhone App, and they have only worked with Windows, you don't want to pay for the time they take to learn. If you choose to have your App compatible with multiple platforms, make sure you express this to your App development partner. Also, make sure they include this in their estimate, so you avoid scope creep later. You should be involved in the creation of your application. You know your industry and what your customers need. You want to be able to weigh in on the process and testing. Just because your mobile application developer is located in a nearby city, doesn't always mean that their application engineers are conveniently located as well. Many developers are outsourcing their engineers, which means you may not be in the same country as engineers designing your App. This can be a major concern, especially when it comes to convenient communication with developers while they are designing the project. Asking this simple question can relieve a lot of potential stress. Marketing Blueprints: One of the reasons we decided to partner with iGlobal Apps is the potential for mobile features to be added as Builders grow their Mobile sales funnel. Can you speak to a few of the features? Kevin: Anyone who read my blog post this week, knows that I am enthusiastic about the potential for Apps to make you money. eMarketer predicts $28.72 billion in ad spending will go toward mobile ads this year alone. Bringing value-added services from your neighborhood to prospects and customers is a win for everyone. I'm also interested in the growth of click to call action that mobile Apps make possible. People are making more calls because the search device also happens to be a phone. According to a study by PPC leader, Wordstream, users are nine times more likely to place a call on the search engine results page of a smartphone than on a desktop. Call only campaigns direct people to make a call rather than send them to a landing page. 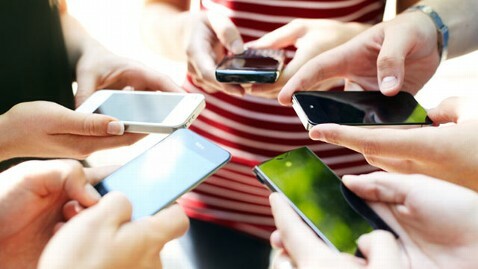 An App makes it convenient for a prospect to make a call to visit a Sales Center or to engage with an Internet Advisor. Thanks, Kevin! We're excited about launching our BP App later this month. We will be talking with Kevin during an upcoming Webinar series about how to kick-start your mobile strategy. We hope this adds value to your week. Thanks for being part of our community. Marketing Blueprints is sponsored by Builder Promotions, Inc., a branding and procurement solution that delivers branded products and collateral used throughout the home selling cycle. Where Do You Find the Time To Stay Current on Digital Marketing Best Practices? Time is a rare commodity when you are competing for the attention of new homebuyers, showcasing new communities, and building market share for your new home brand. It's no secret that in 2008, Marketing teams shrunk as the industry contracted during the financial crisis. Today's Marketers have reason to be hopeful (and busy) as homebuying trends upward again. What hasn't changed is that Marketing teams are still operating with historically low staffing levels. And, the role of a homebuilder Marketer has evolved to include an ever-expanding ecosystem of digital marketing functions. Digital Marketing holds the key to capturing home buyers early in their search for the ideal home, and has become a mission-critical priority for Homebuilder Marketers. This busy infographic (it's so detailed I cannot even insert it here) illustrates the challenge to digital marketers everywhere. There are an exponential number of platforms to help you capture, engage and convert digital house hunters. Builder Marketers need to spend more time on digital, without compromising other important Marketing channels. To stay current, I make a habit of studying trends in digital marketing for a few minutes every day. I love Hubspot for their action-oriented blogging content. This recent Hubspot post is a great example of a simple best practice that illustrates the power of digital tools to drive the human interaction which is so fundamental to selling a home. Realistically, the best marketing ideas are often relegated to our wish list because we need time to think through their application in our business environment. 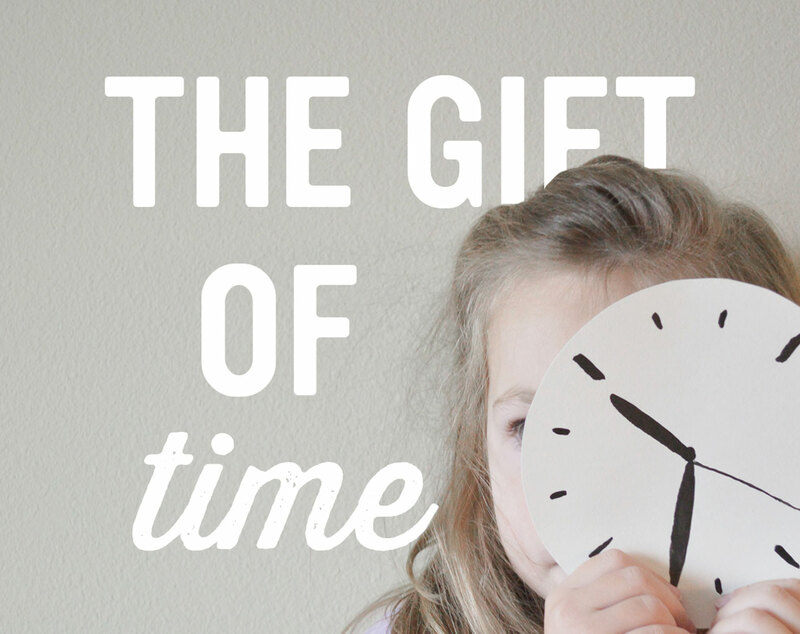 Where to find extra snippets of time to pursue "the list"? Builder Promotions likes to think of ourselves as "gifting" you back your time with a centralized e-commerce service. We manage the procurement and timely delivery of branded products you use throughout the home selling cycle so that you can focus on your mission-critical Marketing priorities. Our e-Store Solution delivers Control, Convenience and Peace of Mind. It's a complimentary service, too (what's not to love!). By centralizing with Builder Promotions for offline products, we hope to give you more time to execute your digital strategy and perhaps a few extra minutes to consider your marketing wish list!